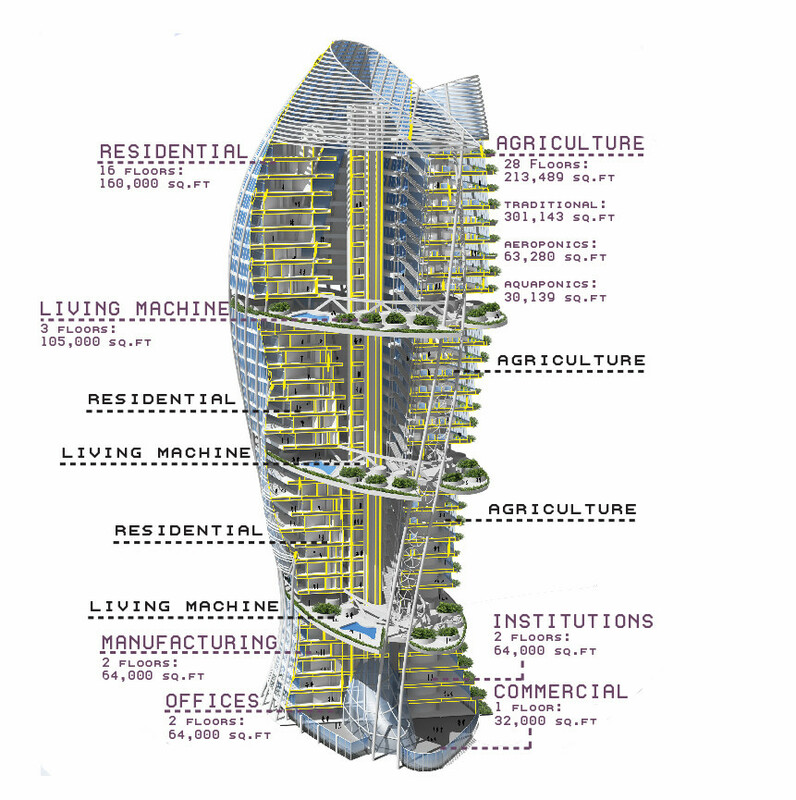 This proposition is for the recycling of a derelict skyscraper to become a largely closed loop, the old idea of a vertical neighborhood. 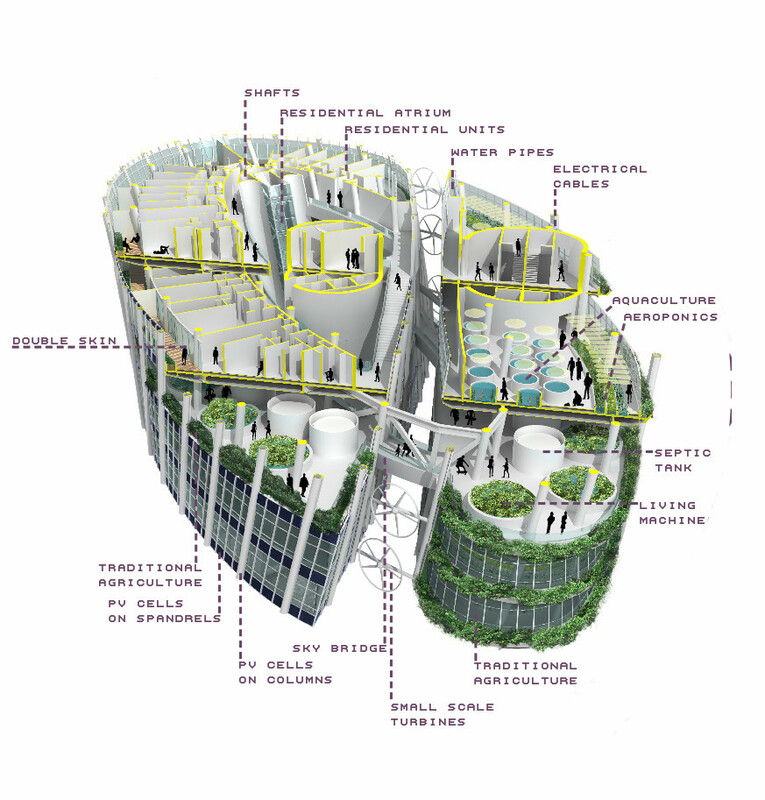 Housing 500 people, it harmonizes inputs and outputs - with some necessary reliance on external sources - to provide an environmentally autonomous building. Although it provides an infrastructure of conviviality it does not seek to be an enclave: The social life of the city must span all its scales and places. Credits: B. Baldor, L. Billheymer, R. Chaos, K. Demund, A.S. Dev, A. Djurasovic, C. Eusebio, T. Giordano, S. Joshi, L. Levi, Y. Liu, M. Okazaki, M. Sorkin, L.Yin.